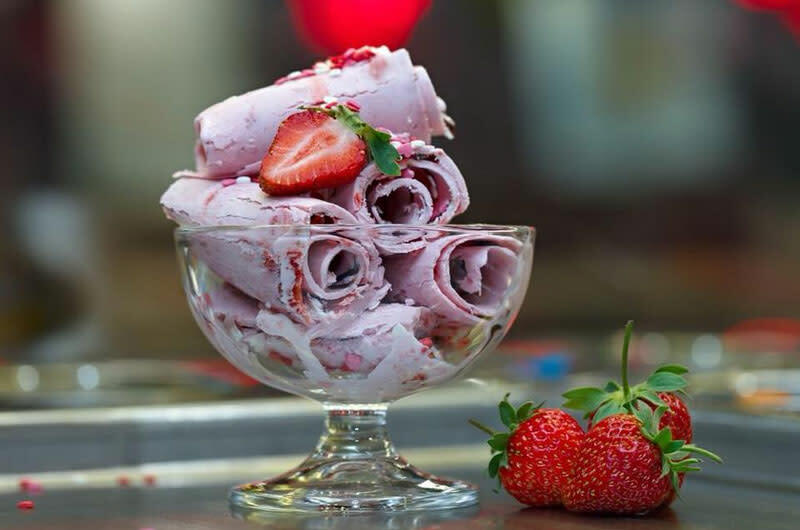 Rolled ice cream with mix-ins and toppings, what could be better for a great ice cold treat? Coldshack begins with the ice cream and they mix in you favorite flavor(s) - strawberry, peach, oreo, cheesecake bites, pineapple, lychee, brownie, banana, graham crackers, blueberry, coconut flakes or kiwi - roll it all up and then add your favorite toppings, which are way too many to name here. It's a great flavor and great value.